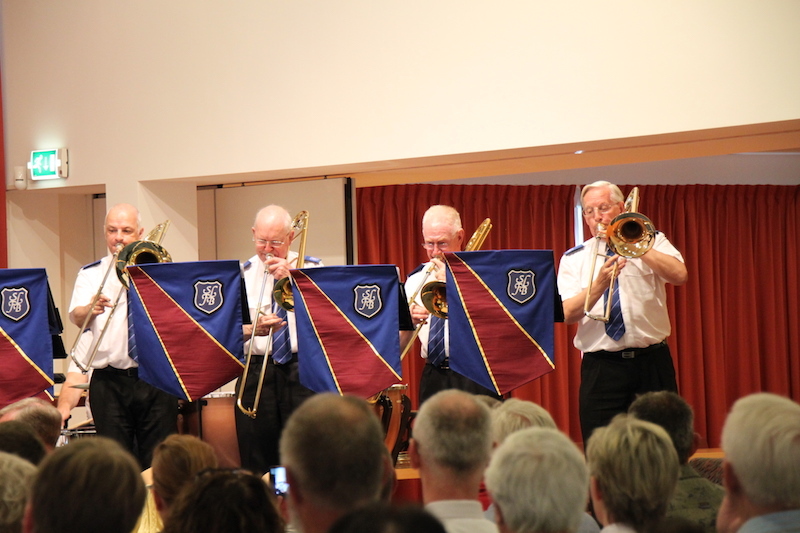 Following two successful tours in the UK, the South London Fellowship Band (Darrell Scholes) embarked on its first overseas visit. Thirty bandsmen supported by fourteen wives made an early morning start from Tunbridge Wells, via Maidstone, for the trip to Utrecht where the band would be based for its five day visit to Holland. 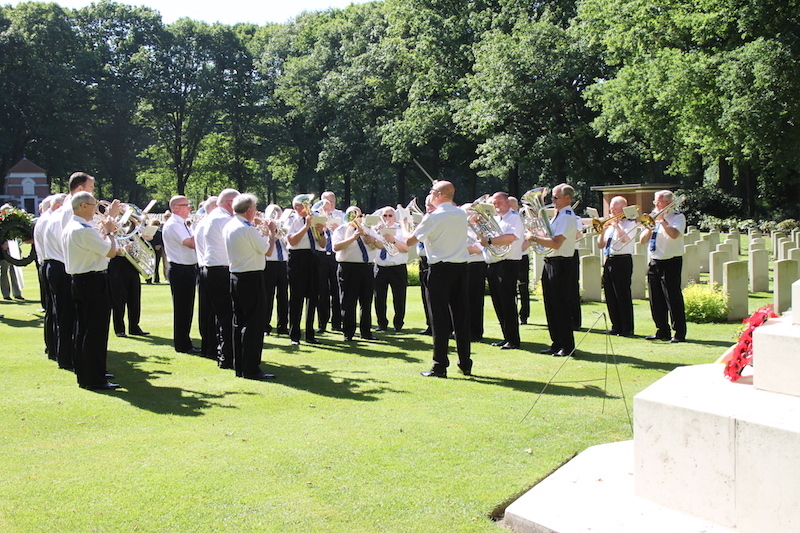 A highlight of the tour was the visit to the War Cemetery at Arnhem Oosterbeek where in this most poignant setting the band played suitable arrangements in glorious sunshine. 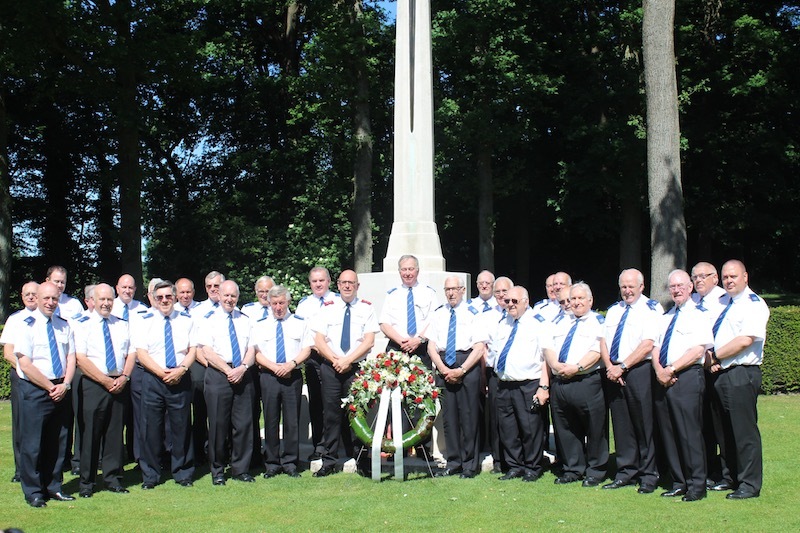 The band was supported by the Arnhem Corps and the Corps Officer and Major George Whittingham laid a wreath in honour of almost 1700 servicemen who are buried or remembered there. 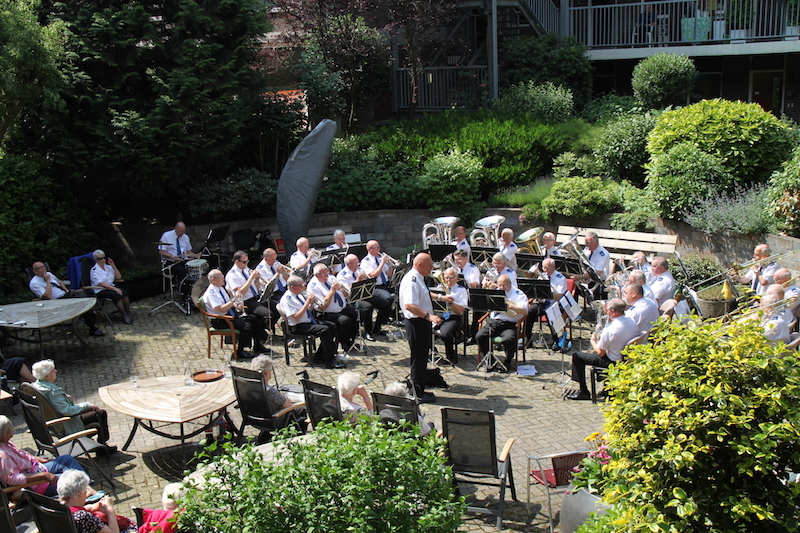 as well as an outdoor programme at Bossardt Gardens in Amsterdam. 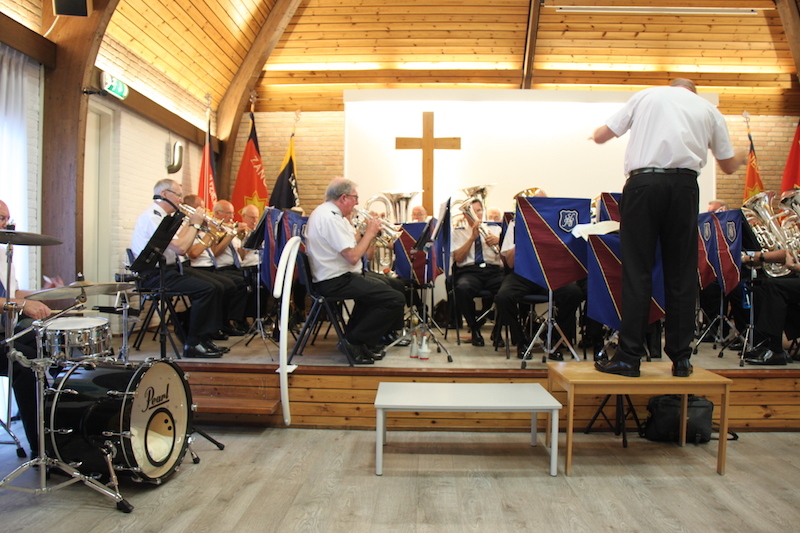 following which a short programme was given whilst the congregation enjoyed refreshments. 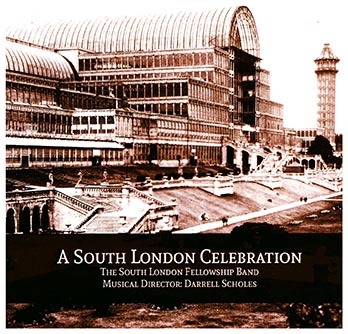 The programmes also featured music on the band’s latest CD, ‘A South London Celebration’ (see advertisement). 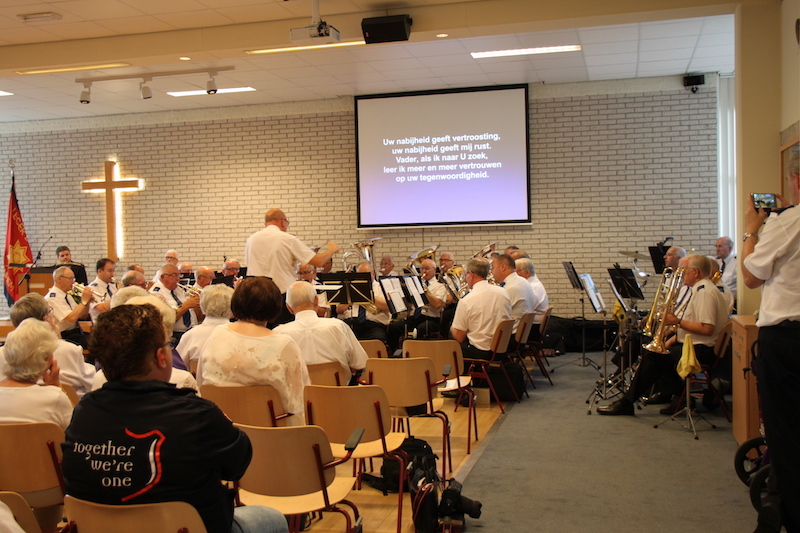 A particularly well received item was the band song ‘God’s love to me is wonderful’ sung partly in Dutch (not on the CD!). 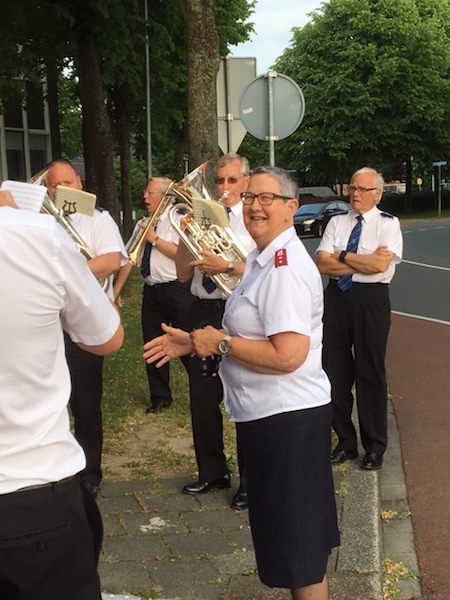 At Alkmaar, members of the band took to the streets around the corps and played hymns. 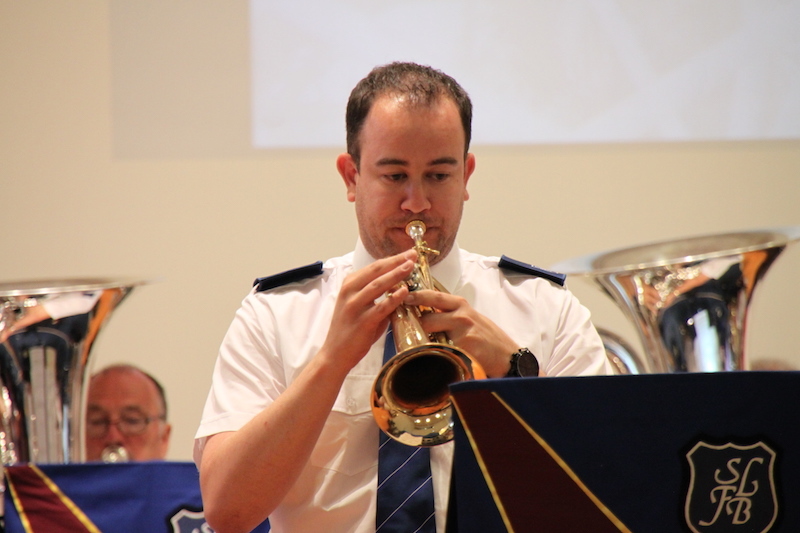 The corps has only a very small band so this was a great encouragement and resulted in some listeners coming to the evening concert. 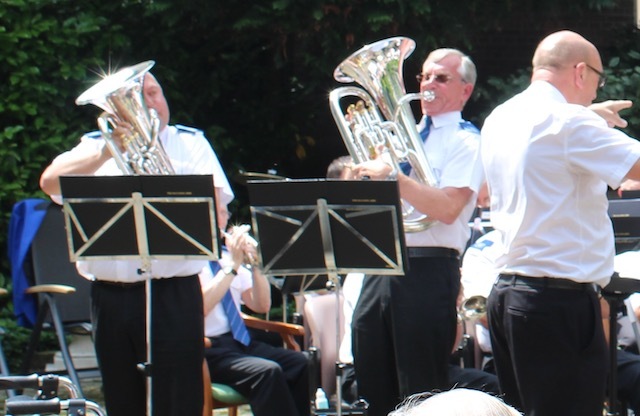 The audiences were enthusiastic in their appreciation of the band’s playing and the fellowship enjoyed at each corps was also a feature. The welcome and hospitality at all the venues will be long remembered by all. 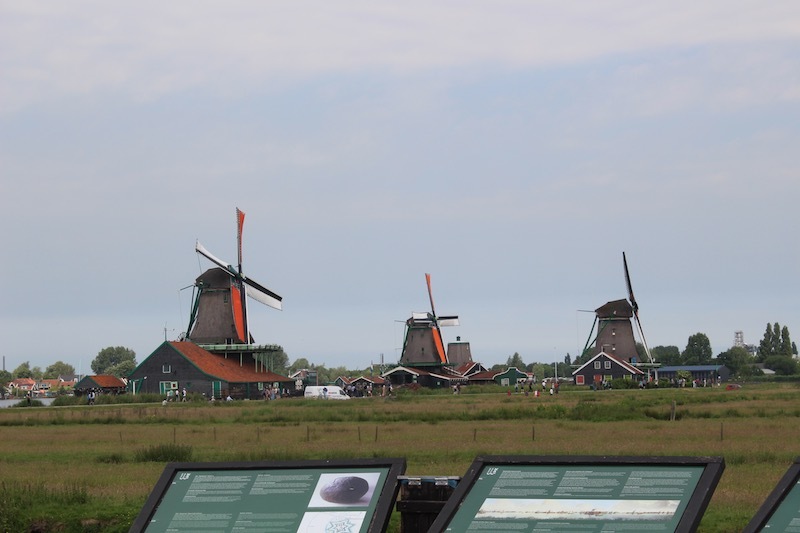 which preserves the culture and heritage of the area by featuring the very first windmills, green wooden houses, cheese production, Dutch paintings and costumes and artefacts. The visit to the museum was financed by the fundraising efforts of the band’s librarian, Brian Hillyer. As always, the tour enriched the fellowship amongst the band with moments of great fun and laughter. 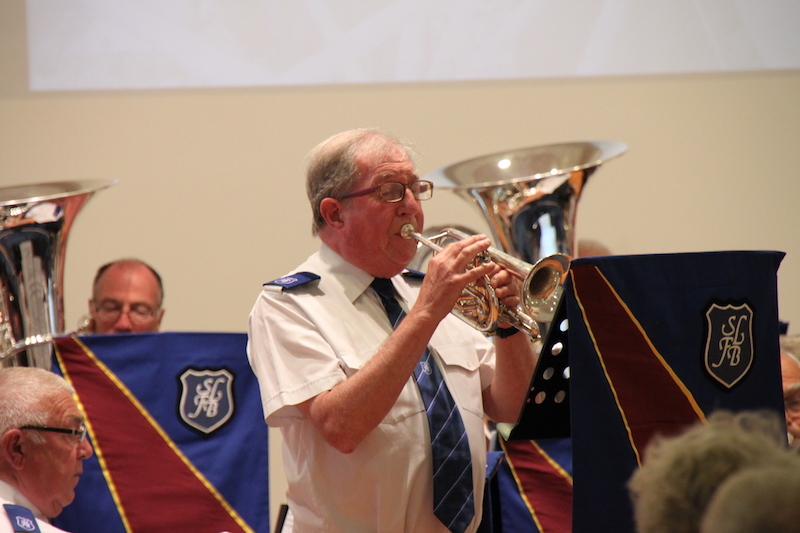 On the last day, the bus wouldn’t start but thankfully engineers were able to rectify the problem and we safely arrived home late on the Sunday evening, tired but happy, having covered over 1100 miles in the safe hands of our driver and 1st cornet player, Colin Richardson.